FitBloggin is Fabulous was posted on July 1st, 2013 and is filed under Life. This entry has 6 comments. You can follow any responses through the RSS 2.0 Comment Feed. Thanks to Nutrex Hawaii (the people that fuel my spirulina obsession) they sent me to FitBloggin…and it was a fabulous holiday and time to make awesome connections. 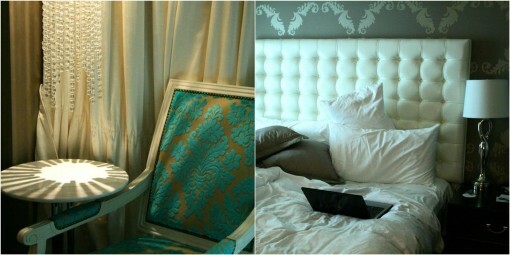 I loved my room…just beautiful! They even would leave chocolate brownies and fresh slippers at bedtime…I felt so “Audrey Hepburn”. The expo at the conference – lots of amazing sponsors and SO much swag! Not sure how I’ll bring it all home! Mizfit!!! This woman is really quite amazing and her sense of fun just leaves me grinning! I finally met Kelly Olexa – I LOVE her so much. I need more of her in my life. 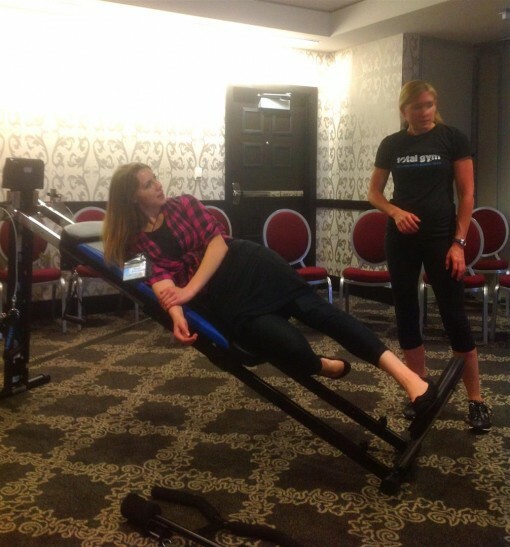 She’s the genius founder behind FitFluential and I just love her…but I said that already. Whatev. She’s great…that’s all I can say. I even got to try out the Total Gym (very cool piece of equipment) and was super impressed with how many exercises you could do with one piece of fitness equipment. During the break a group of us headed out to Kure Juice and tried some of their delicious juices and smoothies. Somehow during the conference I found myself there a couple times…it was that nice. Somehow a fresh, green juice just hit the spot! It was special to hang out with Heather and Gina…they’re both SUPER sweet gals and you just can’t help but smile around them. The other half of us – the two ladies from Laughing Cow (Brittney you’re fabulous! 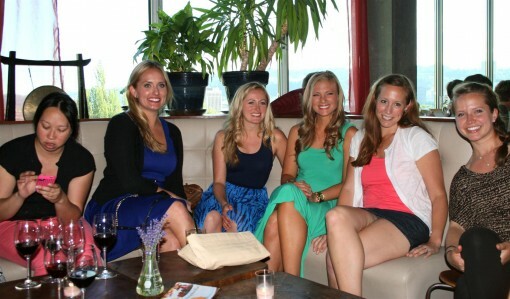 ), Anne, Julie, Erika, and Kasy. 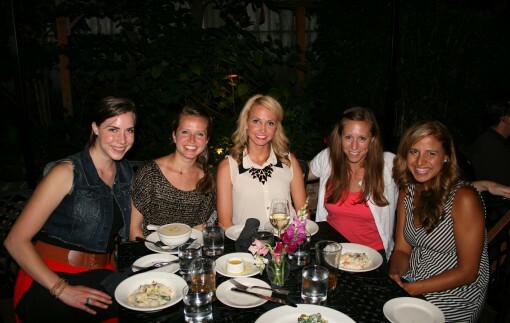 For dinner, Kasy, Heather, Erika, Bobbi, and I headed out to a BEAUTIFUL restaurant where we sat outside in a beautiful garden. Most of us had risotto on our minds and enjoyed every bite. 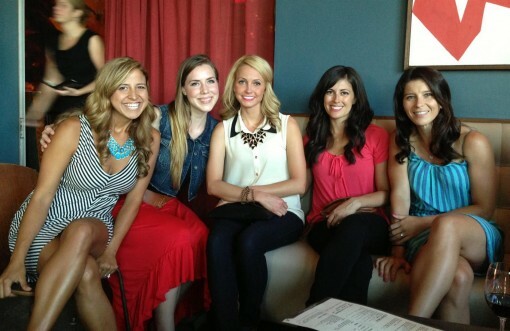 During the weekend we spent a good amount of time together and I just LOVE these ladies…LOVE. More FitBloggin fun coming up…and don’t forget that my Instagram Challenge for July is starting today!! So COME join in on the fun! Have you heard of FitBloggin? 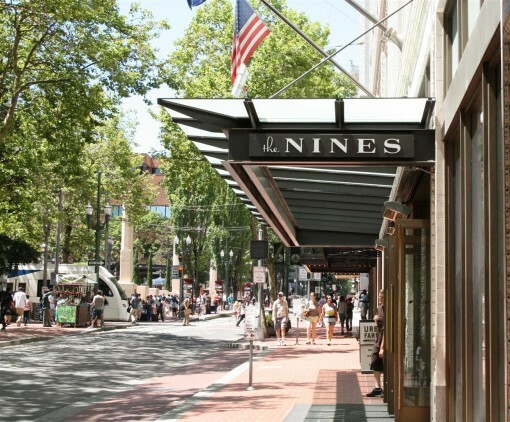 What are some of your favourite places to visit in Portland? So glad I made a new friend this weekend (you)! You Instagram challenge looks fun too! I think I could check off the first one…but I already ate it! Woops! Look forward to keeping in touch and following your blog! Oh I love Gina’s blog! FitBloggin does look fabulous. You are lucky ladies. I recognize some of them from the other blogs I read. Thanks for sharing your experience with us. 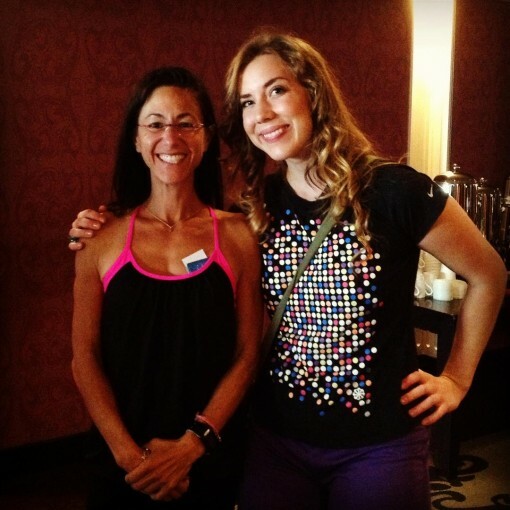 Great to meet you at FitBloggin’ and try out the Total Gym with you! I had totally read your post about spirulina before I left for FitBloggin’ and duh me, forgot to even mention it. I was so overwhelmed with information that weekend, in a good way!! LOL! !